Will young Utahns cast a significant number of votes, or will they follow historical precedent and sit midterms out? In a news conference on election security last month, Lt. Gov. Spencer Cox told reporters that his office expects to see a higher-than-normal turnout for the Nov. 6 midterm election, thanks to an expanded vote-by-mail program, a tight congressional race between Mia Love and Ben McAdams, an array of controversial ballot initiatives and, of course, the opportunity to rebuke or reward President Donald Trump for his contentious policies. It's clear, Cox suggested, that Utah could see a healthy number of ballots cast in the midterms. What's less clear is whether the kids will turn out to vote. The state doesn't break down its voter registration or turnout data by age, but national statistics show that young voters between ages 18 and 29 make up the majority of the electorate, yet cast ballots in midterm elections at lower rates than older generations. Morgan Lyon Cotti, associate director of the Hinckley Institute of Politics, says those numbers aren't unique to millennials. Baby Boomers and members of the Silent Generation voted at the same rates when they were in their late teens and 20s. "No matter who is the youngest group at the point in history we are in, those are the groups that turn out the least," she says. Cotti cites a handful of reasons for the low turnout among young voters. For one, they generally move more than those who are older and established in their careers. They might not feel a sense of connection to a district or state they know they'll be leaving in a few months or years. And there are the logistical issues that need to be overcome before participating in an election. "There's always a cost to vote," Cotti says. "Not the actual money cost, but figuring out how to register, what the deadlines are; you have to have a pretty significant amount of information to vote, and that can be difficult if you're a young person living in a new place." There's also a chicken-or-the-egg dilemma. 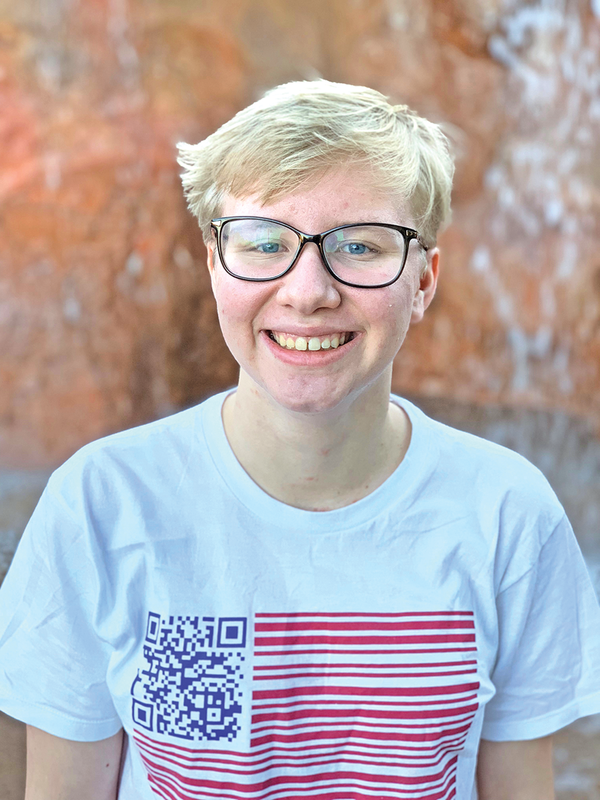 Many young people don't participate in the political process, but maybe, high school senior Jeniel Zimmerman suggests, that's because most politicos don't take the time to engage with them. Do candidates ignore younger people because they don't vote? Or do young people not vote because aspiring lawmakers don't take them seriously? "It's a lot of that misunderstanding, where people say, 'Oh, well, they don't get it, so we don't need to worry about them,'" the Mountain View High School student says. "A lot of times, youth don't really feel like their voice matters." This year's midterm election might see higher turnout rates among millennial and Gen Z voters. The Democratic polling firm TargetSmart reports a nationwide uptick in youth voter registration in key midterm battleground states like Pennsylvania, Florida and Michigan. 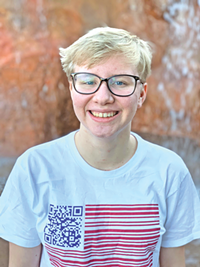 The Beehive State's youth voter registration didn't see a similar surge in the TargetSmart analysis, but Matthew Burbank, associate professor in the Department of Political Science at the University of Utah, suggests the state's turnout among young voters could be higher than normal. He says young people might want to have a say in the ballot initiative that would legalize medical cannabis for people suffering from chronic pain or illnesses. "It's an issue that means something to them and means something to a lot of people that they know," Burbank explains. Zimmerman is a member of March For Our Lives (MFOL) Utah, the local chapter of a nationwide movement founded by teenage survivors of the Parkland shooting. The group has held voter-registration drives in high schools across the state, registering and pre-registering more than 500 students and faculty members since August. Valeria Jimenez, a politically active 22-year-old vice president of the Utah chapter of Voto Latino, has seen a lot of enthusiasm among the high school and college students she has helped register. But that's only half the battle. "It's one thing to register to vote, and another thing to vote," she says. It's a problem Zimmerman can see coming, too, which is why MFOL Utah is hosting events in the run-up to Nov. 6, including a rally on the eve of Election Day, to keep young people motivated and make sure they turn out. "People need to vote, and young people need to vote," she says. This political era could do more than inspire higher turnout among young citizens—it could also change the qualities they look for when deciding whom to send to office. "For every generation there are major moments that really shape how that generation views politics," Cotti says. For Boomers, Vietnam and Watergate defined how many people judged military intervention and elected officials' trustworthiness. For newer generations, the causticness of the 2016 election could be a sticking point in their political identities. "Perhaps they'll entrench in those political beliefs, but we're seeing many young voters are not identifying with a party," Cotti says. That's what Alan Monsen is seeing on the campaign trail, too. Monsen is a 34-year-old small business owner who is running on the Republican ticket for State Senate District 4 because he thinks the incumbent, Jani Iwamoto, votes too much along party lines. He says the majority of people between the ages of 18 and 34 he's talked with are unaffiliated with a party and are enthusiastic about candidates who govern for the people, not for Republicans or Democrats. Put another way, Monsen thinks polarization could drive people to the polls. "This is the first time I've seen where even those who are complacent are willing to vote," he says. MFOL Utah is nonpartisan. The students meet with legislators regardless of their political affiliation, Zimmerman says. What matters is a willingness to get something done, not lawmakers' political purity. "Even if our views don't entirely line up, we're trying to find people that are willing to listen and bridge this polarized, partisan gap that has been created over time," she says. "It's frustrating when nothing can happen because people are just fighting and fighting and fighting," Zimmerman adds. "If we're just going to argue the entire time, then nothing's going to happen, and the problem will get worse no matter what." Despite her passion and registration efforts, Zimmerman can't cast a ballot on Nov. 6—she's 17 years old. She's found other ways to make her voice heard, but she's just 10 months shy of her 18th birthday. It's frustrating that she's so close, yet so far, from being able to have a say in next month's election. "I'm frustrated," she says. "I want to vote so bad."